Pakistan Civil Aviation Authority PCAA invites applications for the latest vacant positions. 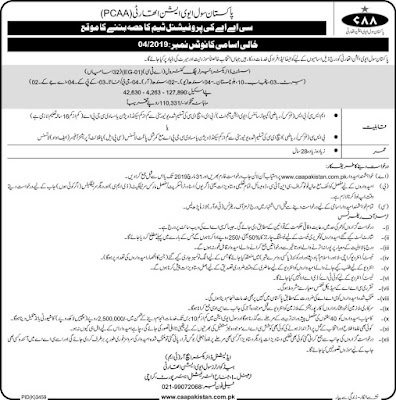 These Civil Aviation Authority CAA Pakistan Jobs 2019 mentioned in CAA Pakistan Jobs Advertisement No. 04/2019. 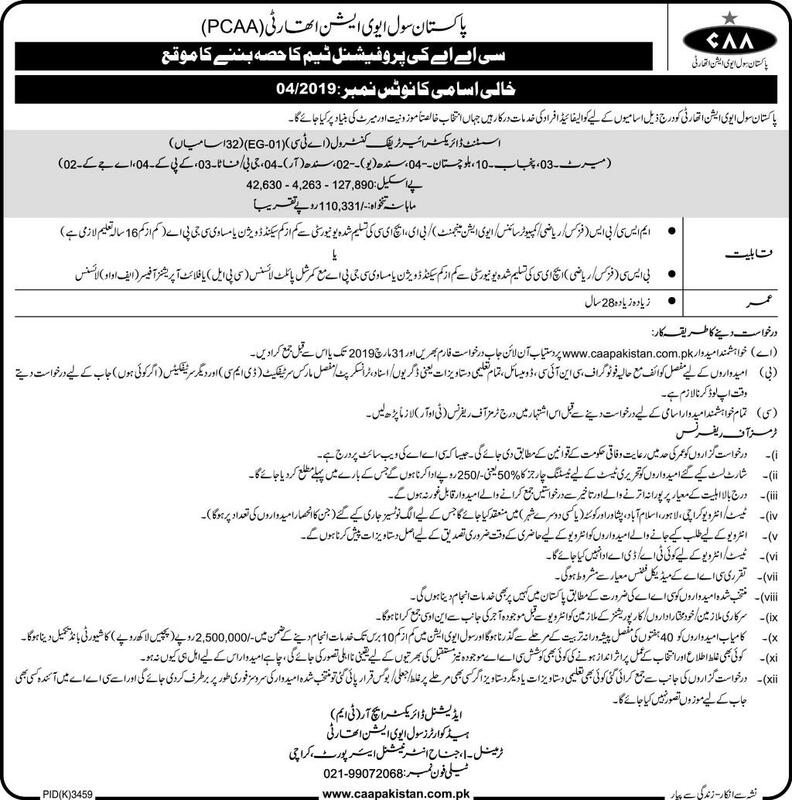 This Pakistan Civil Aviation Authority PCAA Jobs Advertisement No.04/2019 published in the down newspaper on 13 February 2019. Applications are being invited from the Pakistani nationality holders from the CAA Pakistan which is currently considering to hire the well-disciplined and well experienced plus responsible applicants to fill out the following given post; Assistant Director Air traffic Control (ATC) (EG-01). All over Pakistani Candidates can apply for the vacant position as per the policy of Civil Aviation Authority Pakistan (CAA). These posts carry eye-catching salary package will be provided to the applicants. Let's have a look at its applying situations below. Assistant Director Air traffic Control (ATC) (EG-01). How to Apply for (CAA) jobs in March 2019? Wishers will submit their Application online by visiting their official site of CAA Pakistan or through given web link; www.caapakistan.com.pk.Candidates will be necessary to upload Detail CV, recent Photograph, Scanned Copies of CNIC, Domicile copy, & all Educational Documents along with experience certificate while applying for the job. o In case a candidate does not upload the above documents with the online application form, his / her application shall be rejected. o Test / Interviews will be conducted at given centers; Karachi, Lahore, Islamabad, Peshawar, and Quetta for which separate notices will be issued. o The number of vacancies may increase/decrease, redistributed or reallocated by the Competent Authority without further notice. o Only shortlisted candidates will be entertained for an interview. o Candidates should bring all original documents at the time of interview.